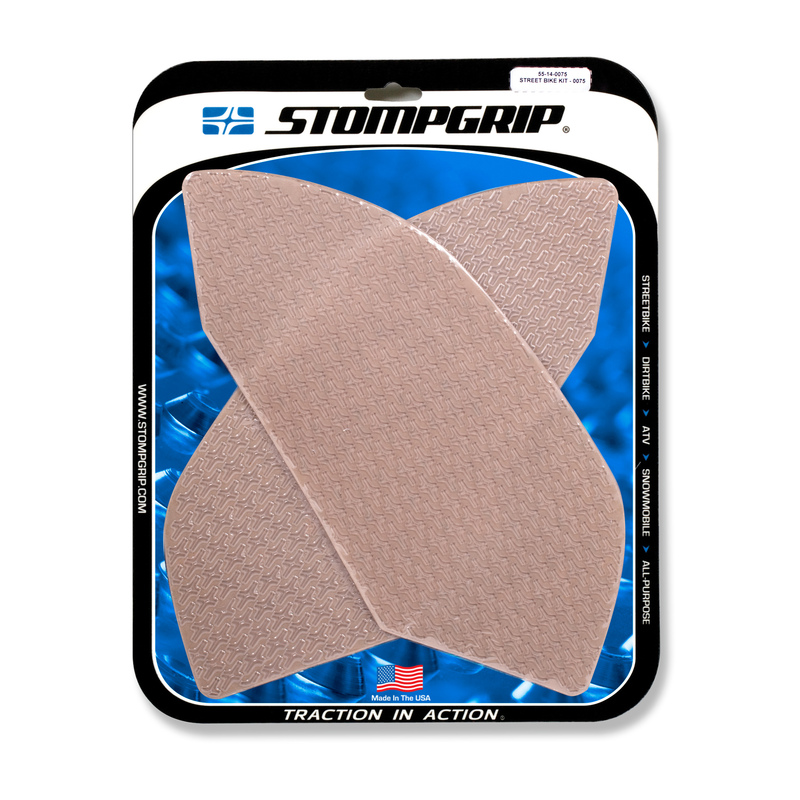 Product #55-14-0075 contains two (2) tank grips that have been custom designed and molded to fit your specific bike. 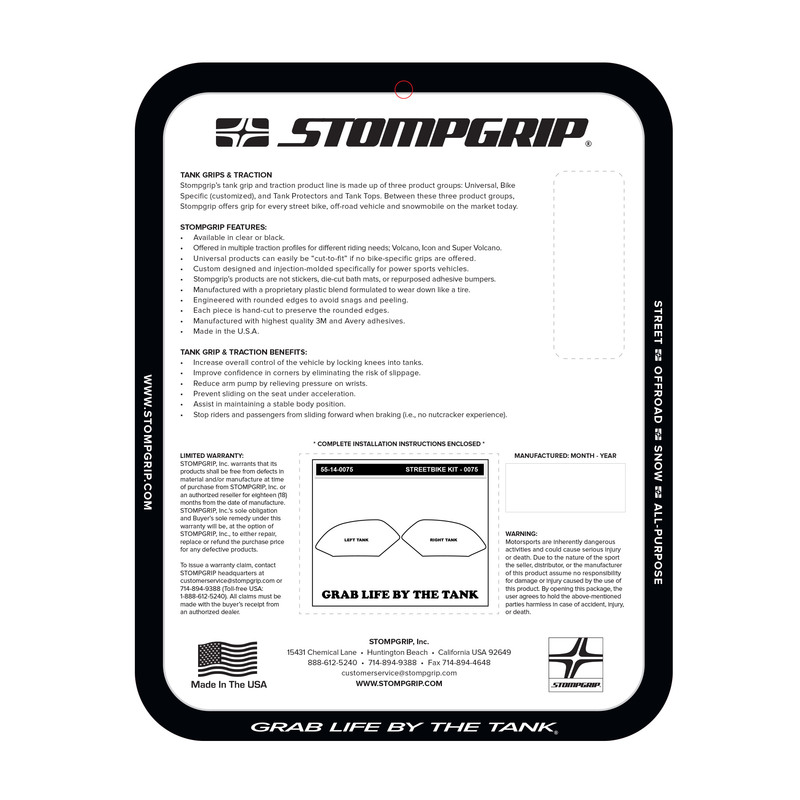 These tank grips are made with the icon grip profile and are available in clear or black. 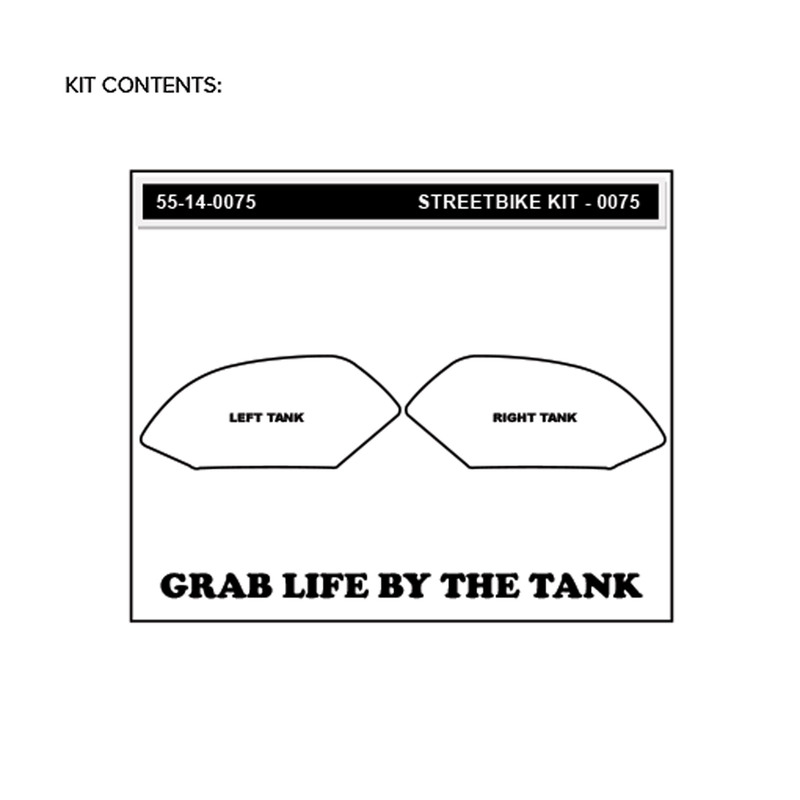 Click on the images above to verify the kit contents and to see a rendering of the tank grips installed on a bike. If you need any help with installation, be sure to view our installation video or call us at 1-888-612-5240 to speak with a customer service representative.